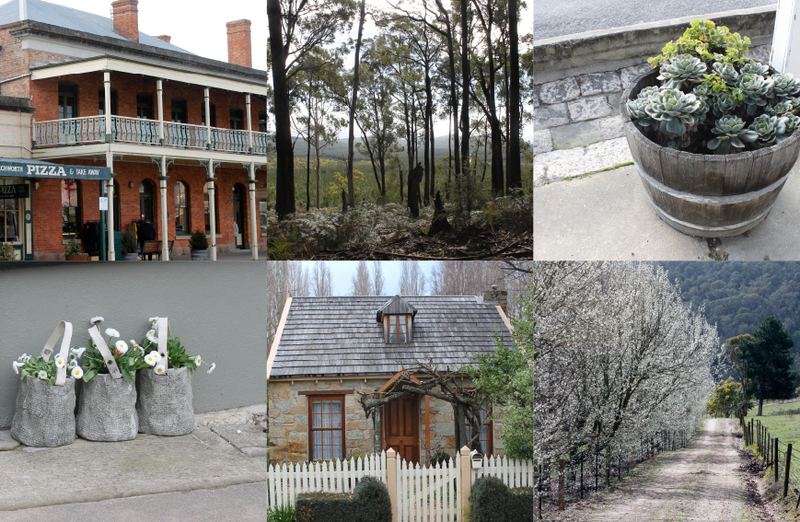 Beechworth is an understated historic town in North East Victoria, about 35 minutes south of Albury. It’s a beautiful little place; a bustling hub in the gold rush days that was put on the map courtesy of Ned Kelly who was housed in Beechworth Goal for a while. I first visited North East Victoria when I was doing some PR work for Brown Brothers Vineyard, who are in neighbouring Milawa. On my very first visit I fell in love with the region with its rolling hills and lush valleys. It’s a haven for food and wine producers (bonus) such as angus beef breeders; bee keepers; walnut, berry, olive and dairy farmers; wineries call it home too and there’s pine and green tea plantations scattered about the place. I tell you, it’s all happening in North East Victoria! Here are some of my favourite places to visit. The best restaurant in Beechworth is the two hatted Provenance. It’s located in an old 1800s bank. Chef Michael Ryan produces contemporary food from quality regional and seasonal produce and the menu has a Japanese twist. We dined here on our recent visit and it was excellent. Also in Beechworth is a great local cheese larder and also a wine shop and the Beechworth Bakery has delicious pies, pastries and surprisingly good coffee. In nearby Milawa, we always visit the Brown Brothers Epicurean Centre for a long lunch. The food is skilfully matched to their extensive wine list, the service is top notch and it’s a beautiful place to spend a few leisurely hours. I love that you can have a ‘tasting’ glass with each dish. Finally, you have to visit the Milawa Cheese Factory to buy some Milawa Blue and Ashed Milawa Chévre cheese, and The Olive Shop to stock up on yummy local olives (the chilli ones are super) and olive oils. I’ve actually just polished off some warm Milawa olives while typing this blog post!